Joe McFalls is a master's candidate in the Baker Program in Real Estate at Cornell University's SC Johnson College of Business. 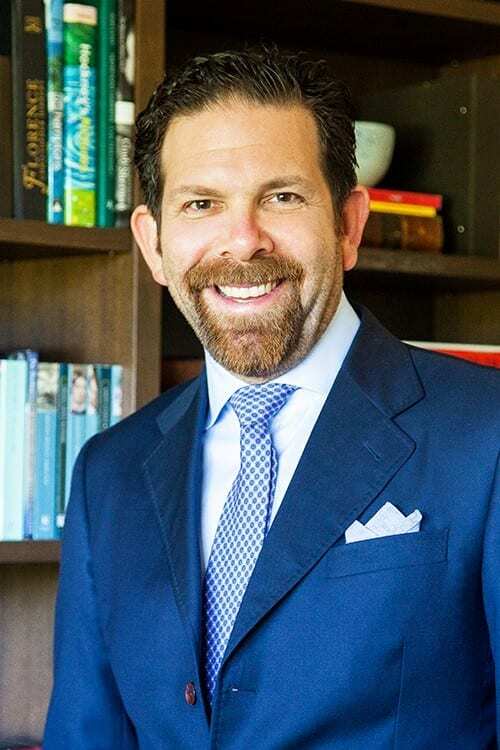 Prior to attending Cornell, Joe served as real estate counsel at Toll Brothers, Inc. and as an associate in the real estate department at Blank Rome LLP. Joe is a graduate of the University of Pennsylvania and the Villanova University Charles Widger School of Law. On November 8, 2018, the Cornell Baker Program in Real Estate welcomed Bruce Menin, Principal of Crescent Heights, to campus as part of its Distinguished Speaker Series. Crescent Heights is a vertically-integrated real estate firm that specializes in the development and operation of architecturally distinctive residential high-rises in gateway markets across the country. After a brief career as a lawyer, Bruce formed Crescent Heights in 1989 along with partners Sonny Kahn and Russel W. Galbut. Since its formation, Crescent Heights has completed over 150 projects comprising more than 38,000 residences with a total development value in excess of $12 billion. The company has also won numerous awards, including being selected as the 2016 Developer of the Year by the National Association of Home Builders. Bruce described for the audience many of the factors that differentiate Crescent Heights and its projects. Bruce emphasized that it was important to be at the bleeding-edge of the industry and, for Crescent Heights, this means being a pioneer in certain products and markets. For example, the company was among the first companies to perform condominium conversions on a large scale, starting in the late eighties in South Florida, as well as one of the first companies in the nineties to perform an office to condominium conversion in New York’s financial district at a time when few envisioned residential buildings in this area. In addition, the company has successfully identified and, through its developments, catalyzed emerging real estate markets throughout the country, including Miami’s South Beach, San Francisco’s South of Market, Boston’s Seaport, Atlanta’s Midtown, and San Diego’s Gaslamp District. Superior market timing has differentiated Crescent Heights as well. Sensing that the condominium market was beginning to overheat at the end 2005, the company, which at the time was one of the country’s largest condominium developers, made the difficult decision to exit its projects as quickly as possible. With its prediction having proven correct, the company was then in a position during the downturn to acquire land in premium locations in desirable markets across the country, and it is many of these sites that Crescent Heights continues to develop today. While Crescent Heights now constructs apartments, it continues to be influenced by its experience developing condominiums. As Bruce described, the company seeks to provide a condominium experience to its renters by providing condominium-quality amenities. Many of its projects feature tens of thousands of square feet of amenity space for residents as well as services that are more akin to the experience of a luxury hotel. 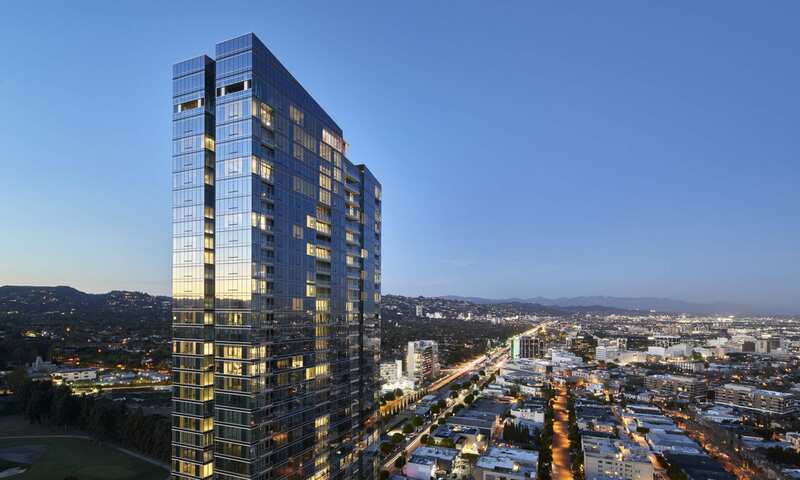 For instance, at its Ten Thousand project in Los Angeles, California, residents enjoy complimentary continental breakfast, indoor and outdoor pools, tennis and basketball courts, and a one-acre private park. According to Bruce, design is a significant differentiator of Crescent Heights projects. The company seeks to create projects that are architecturally significant and draw from the context of their local environment. To executive this vision, Crescent Heights engages world renowned architects, artists, and interior designers to create locally-inspired, bespoke buildings with soul. 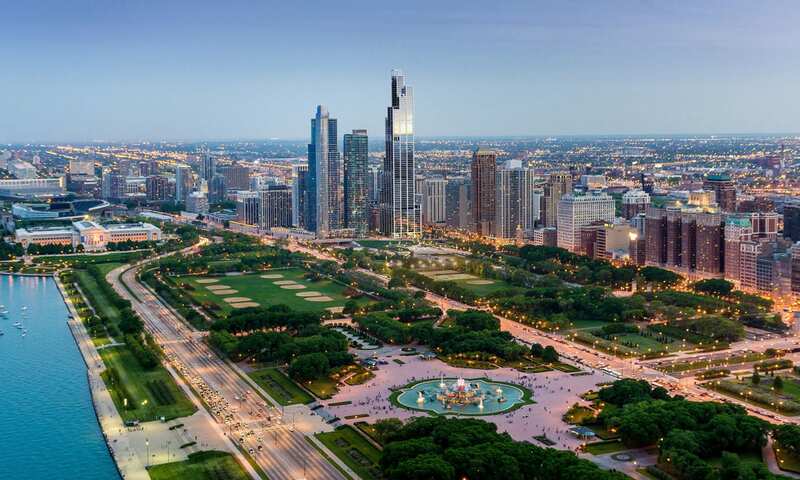 As an example, Bruce described a new project that the company is undertaking in Chicago, a 76-story residential tower designed by Rafael Viñoly, as part of the company’s roll-out of its new upscale apartment brand, NEMA. Bruce concluded his presentation with an examination of two case studies involving the Ten Thousand Project and another project in Los Angeles, the Palladium Residences that are planned adjacent to the Hollywood Palladium, a landmark concert venue. Bruce described for the audience how, despite the company’s deliberate and thoughtful approach to due diligence and the planning/approval process, unpredictable issues can nevertheless arise that will test a developer and require significant determination to overcome. The Cornell real estate community thanks Bruce for sharing his time and insights as part of its Distinguished Speaker Series. It was a pleasure to have Bruce on campus, and we wish him and Crescent Heights continued success.